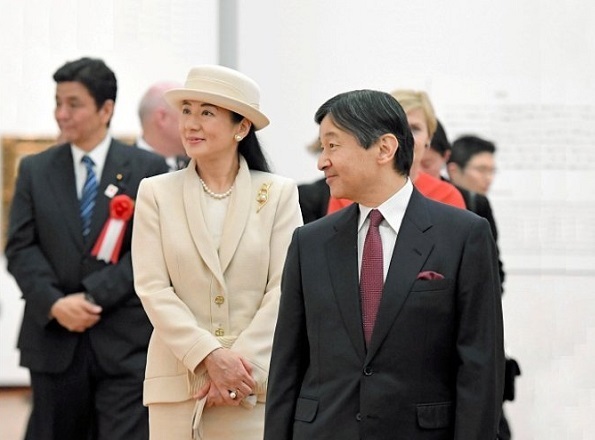 Crown Prince Naruhito and Crown Princess Masako of Japon attended the opening ceremony of the 'Skagen: An Artists' Colony in Denmark' exhibition at the National Museum of Western Art on February 9, 2017 in Tokyo, Japan. The exhibition presents an overview of the naturalistic painting developed in an artists’ colony at Skagen from the 1870s to the early 20th Century. Agree with you. Beige is such a beautiful color. She looks nice except for the hat. 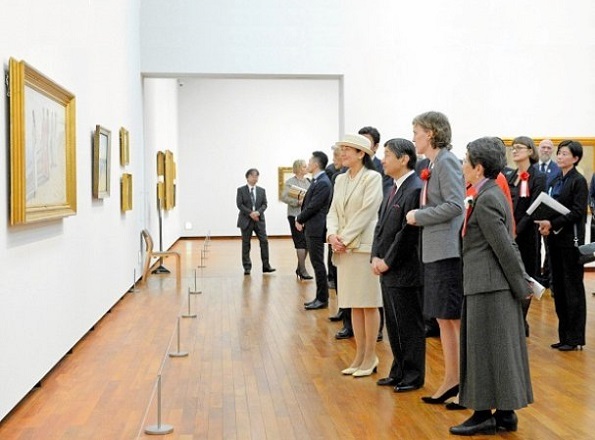 I love hats, and wear them a lot, but this royal family wears really odd ones. Her hat looks like a paper bowl glued onto a paper plates. The kind of hat craft I do with my 3 year old. But her jacket is really nice. Lol. That's a great description. [I was thinking upside-down chamber pot...]. Think how great she would look without the "hat". Heather I agree. Different hat would make the suit look so much better and add Masako character. Always lovely to see the CP attending an event. She seems to have such a lovely warm way about her.